Being the mini-hipster that I am, I have found my apartment infested with a vinyl record collection. I don't know how or when this happened - I just moved to Brooklyn about two years ago, and within weeks, there they were. While I'm not as much of an audiophile to claim that I can hear a huge difference in sound quality, I do enjoy owning stuff. 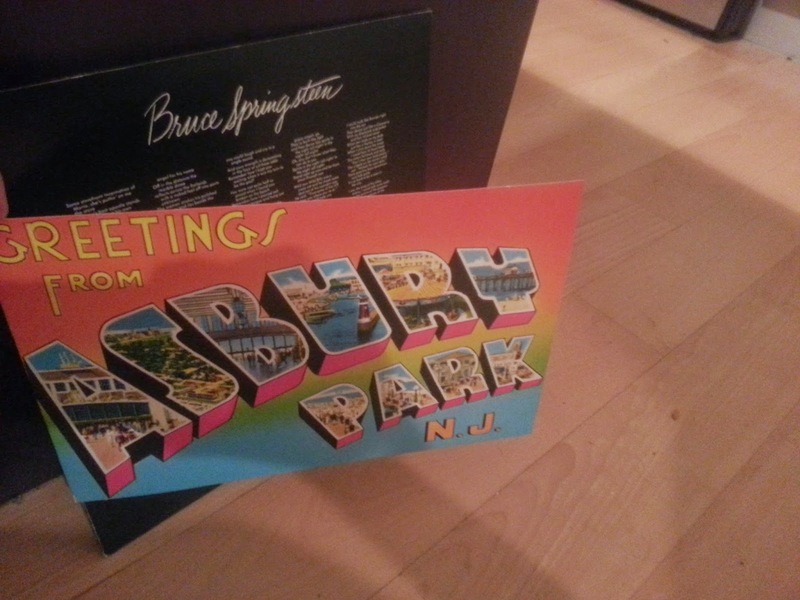 And, what better stuff to own than trendy, hopelessly outdated, will-be-annoying-to-move-when-I-switch-apartments pieces of Springsteen memorabilia? 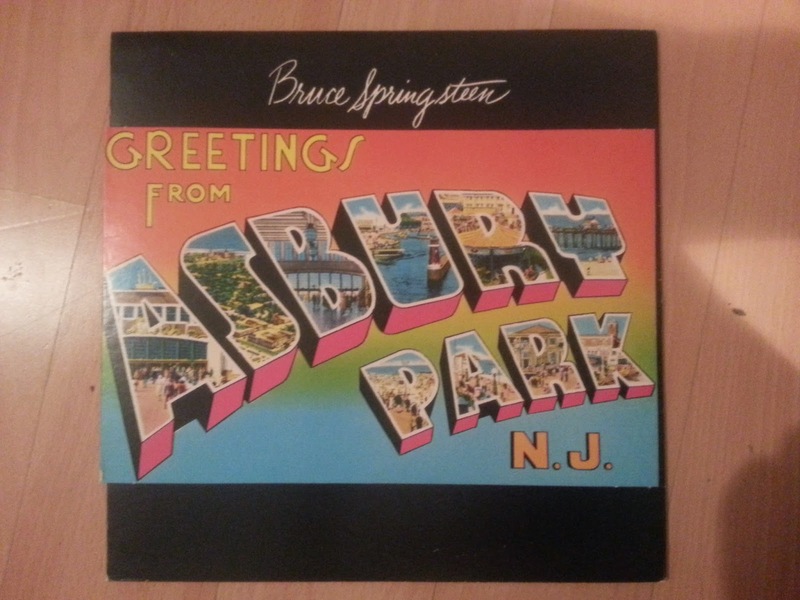 So, in this new series Counting On A Package Deal, I will be reviewing the packaging of these Springsteen records. No, I won't be discussing any of the songs. No, I will not be dissected the cover art. Just, you know, the box it came in. Still with me? Yes? God bless you. 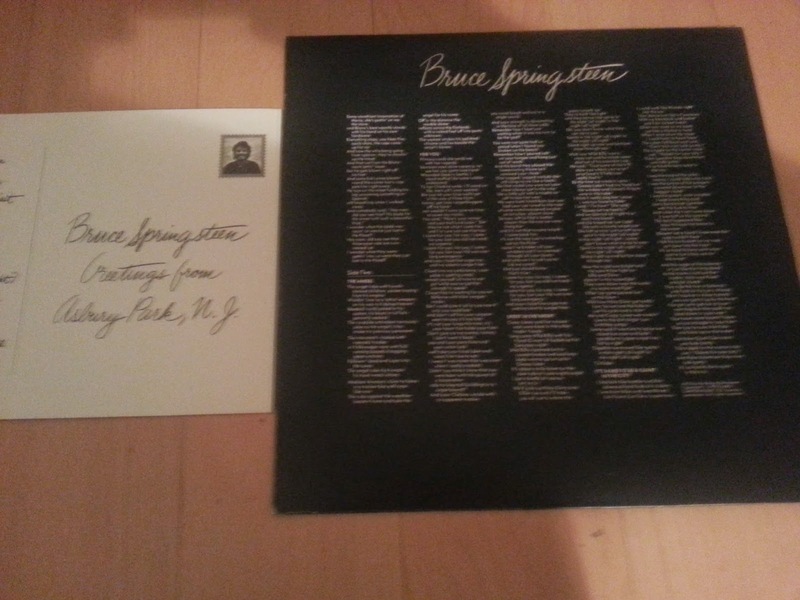 Flip the record over, The back is crammed with Springsteen's crazy lyrics and a small picture of the young rascal. 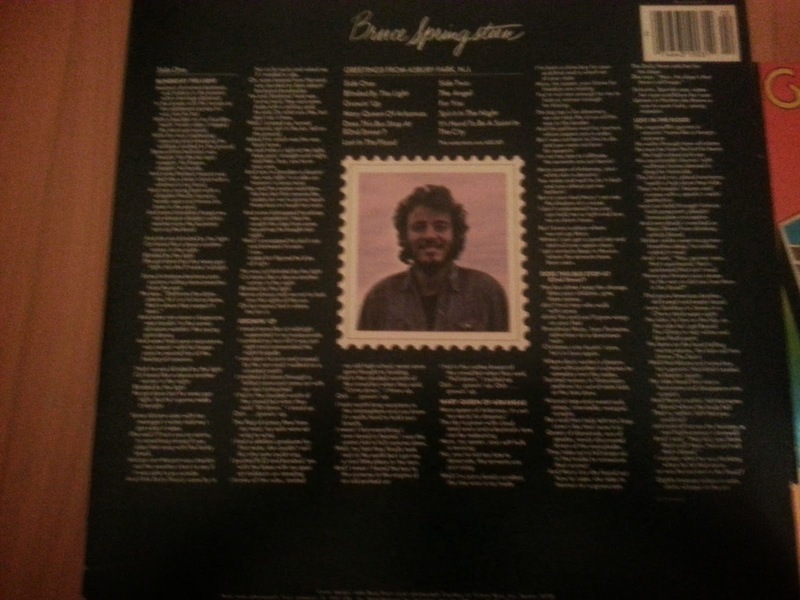 It really shows off Springsteen's early, more verbose songs, as they can barely fit 5 songs on the back (although there is a tremendous excess of empty space at the bottom. So far, it's a pretty by-the-book album package, but what's this? The post-card is die-cut, revealing more lyrics! 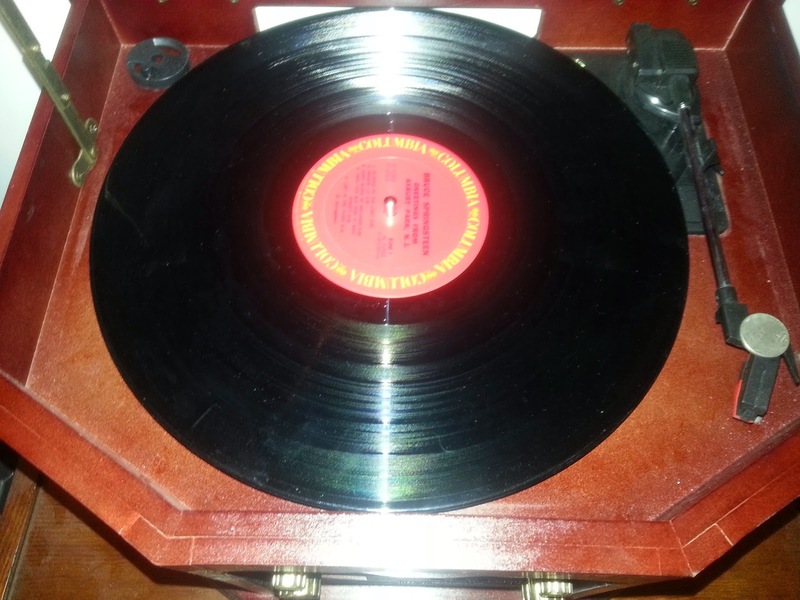 It's extremely simple, but I must say, I do not own any other albums that make use of such a gimmick. Plus, take a closer look at the back of the fake postcard - you even get to see little Bruce's face on a fake stamp (sadly, an honor we couldn't get Clarence Clemons). The album is nothing special, as we get the red Columbia records label. That's something I have to give credit to CDs for - in their later years, they would make the discs stand-out more. A spoiler alert for future Package Deal posts: you will be hard-pressed to tell the difference between Springsteen records, and probably assume I'm just re-using the same photo. 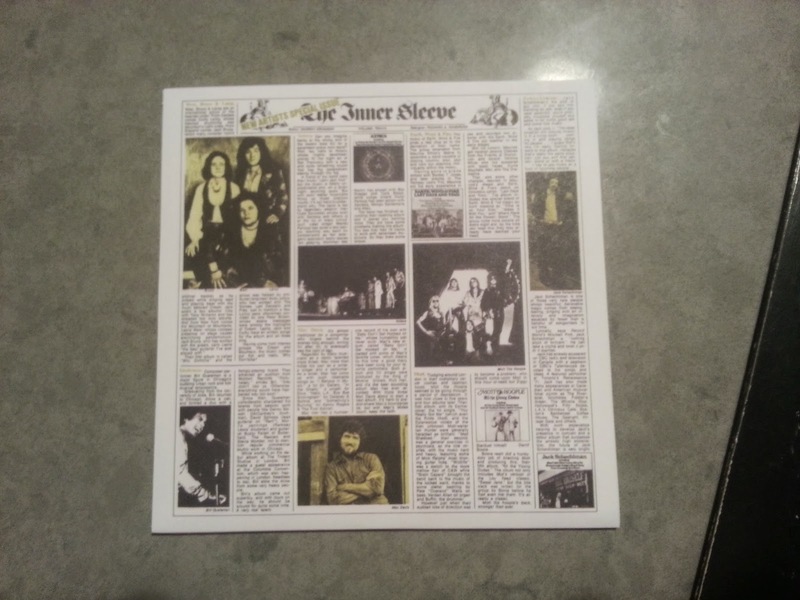 Sadly, the original record sleeve seems to have been lost to the ages, so I'll have to make due with the tiny pictures and microscopic notes that accompany the re-released CD. I'm sure there's some fun Bruce stuff I could make snarky jokes about in here, but I'm not going to strain my eyes reading 2 point font. So, there you have it: the first (and hopefully not last) installment of Counting On A Package Deal. I hope you had fun reading it, or, failing that, I hope you enjoyed scrolling through the pictures.